File /root/.android/repositories.cfg could not be loaded. 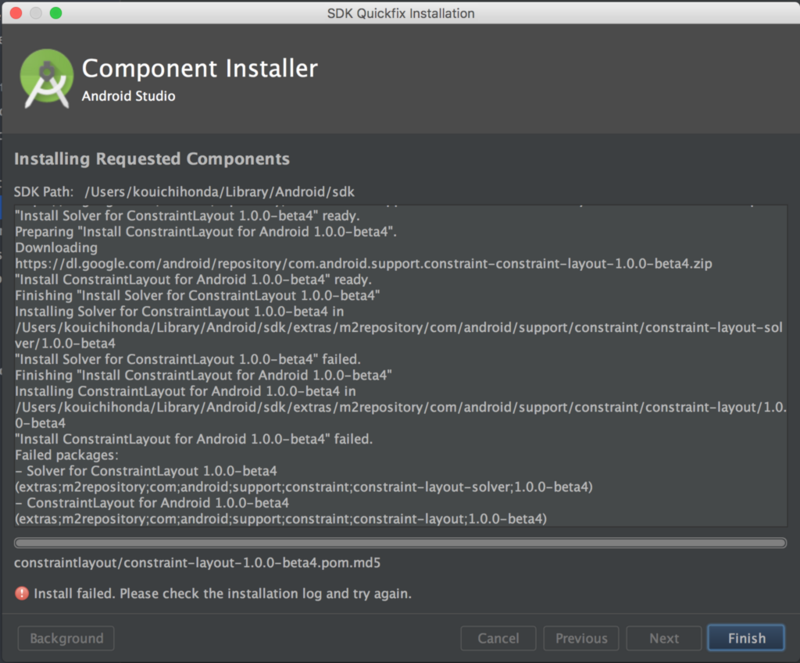 Preparing "Install Solver for ConstraintLayout 1.0.0-alpha8". "Install Solver for ConstraintLayout 1.0.0-alpha8" ready. Finishing "Install Solver for ConstraintLayout 1.0.0-alpha8"
"Install Solver for ConstraintLayout 1.0.0-alpha8" failed. Preparing "Install ConstraintLayout for Android 1.0.0-alpha8". "Install ConstraintLayout for Android 1.0.0-alpha8" ready. Finishing "Install ConstraintLayout for Android 1.0.0-alpha8"
"Install ConstraintLayout for Android 1.0.0-alpha8" failed. ./gradlew "--build-file" "build.gradle" "assembleDebug" "--stacktrace"